Welcome to East Park! The 'Greenbrier" is a highly sought after 3 Bed/2.5 bath RAMBLER with a den/office and bonus room. This home has a wonderful open concept design with laminate floors, quartz counter tops and a full height stone fireplace with built in shelves. Relax in the huge master bedroom and 5pc master bath. Fully landscaped front yard w/ irrigation, backyard landscaped & fenced! Close to schools & shopping. GPS will not work. Use directions below. Nicely maintained & spacious 3 bed/2.5 bath townhome in desirable Lakemont! End-unit on greenbelt w/extra windows has been refreshed w/new carpet, paint, lighting and quartz counters in both baths, smart NEST thermostat. Come & see the large master bedroom w/en-suite and walk-in closet. Bright kitchen w/gas range and stylish stainless steel appliances. Huge bonus room/3rd bedroom plus extra loft/office area. Private 2-car garage. Award winning Issaquah Schools. Minutes to I-90 and Bellevue. Twenty acres of generally flat, mostly forested, usable land with possible sub-division potential, an existing 1937 fixer home and detached garage and shop on dead end road, ready for your due diligence and investment. Zoning allows one dwelling per 5 acres, and there are no Open Space Agreement restrictions affecting this property. Some environmental and other feasibility information is already available for building on this land, which has electric power and a productive well already in place. LUXURY meets TRANQUILITY in your CUSTOM ONE-OF-A-KIND DREAM HOME w/ 7 CAR GARAGE! Drive past your private gate through the lush grounds up your RAMBLER w/ Daylight basement & gorgeous VIEWS! No expense spared in this 1 owner home designed by homeowner. Brand new int/ext paint, NEW MASTER ENSUITE BATH, 50 yr Presidential roof, central vac, radiant heat, surround sound, electric blinds/awning & More! Detached shop w/ DRIVE-THRU garage (perfect for boat), wood shop & CRAB SHACK! TOO MUCH TO LIST! 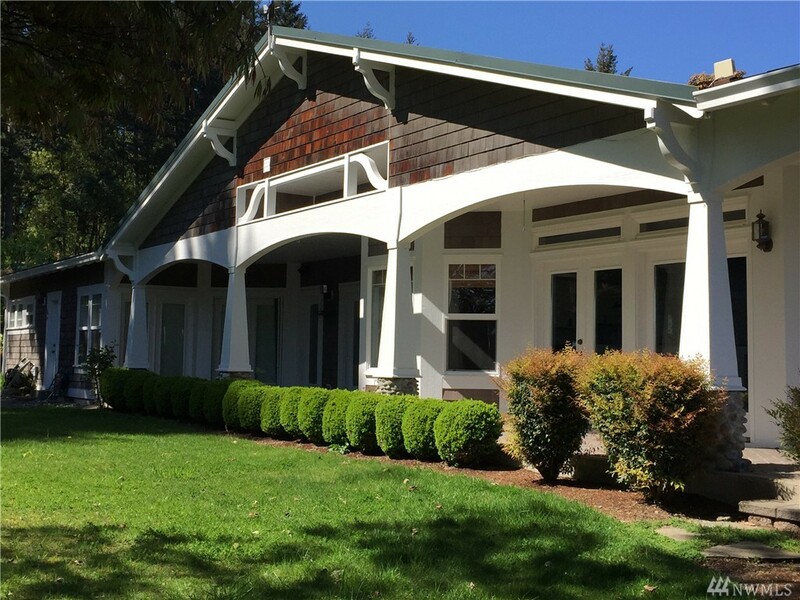 Price Reduced!Breathtaking Puget Sound,Mountain View!Quality lifestyle Living in Seattle!Striking Mediterranean Villa on Alki Beach. Unique,quality built 2002 w/many designed, touches throughout.3 bedrm/ Extra rm /3.5 bath.2386 sf. An invited foyer w/custom Iron Art Staircase,Limestone flr w/hydronic heated,Kolby Argon windows.Gourmet kit. w/slab granite countertop, S.S appliances w/ "Subzero"!Easy access Downtown Seattle by bus,water taxi,biking trail,local Restaurants,coffee shops. Won't last! 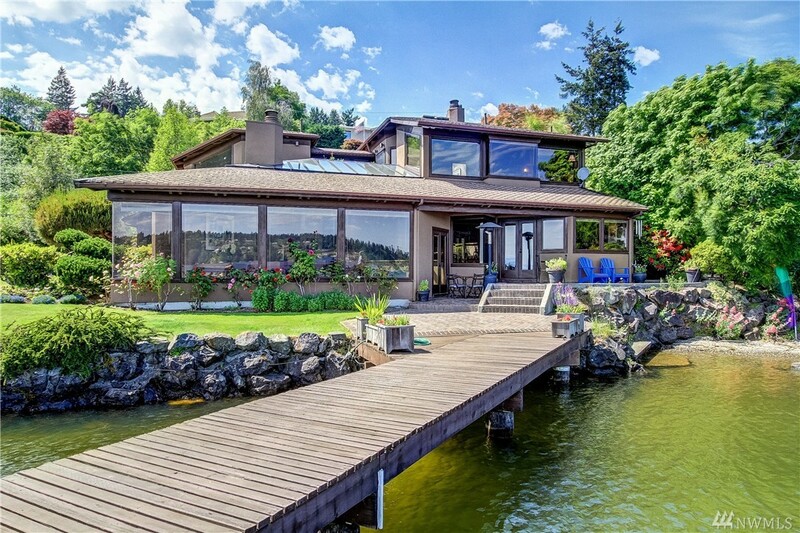 Stunning, unobstructed views from almost every room from this spectacular Lake Stevens home with 90 feet of pristine waterfront. Breathtaking entry open to sweeping lake & mountain views through floor-to-ceiling windows. Home faces quiet cove with morning sun & afternoon shade. Beautifully appointed home with high end finishes throughout. Gated entry & 75' RV parking space. 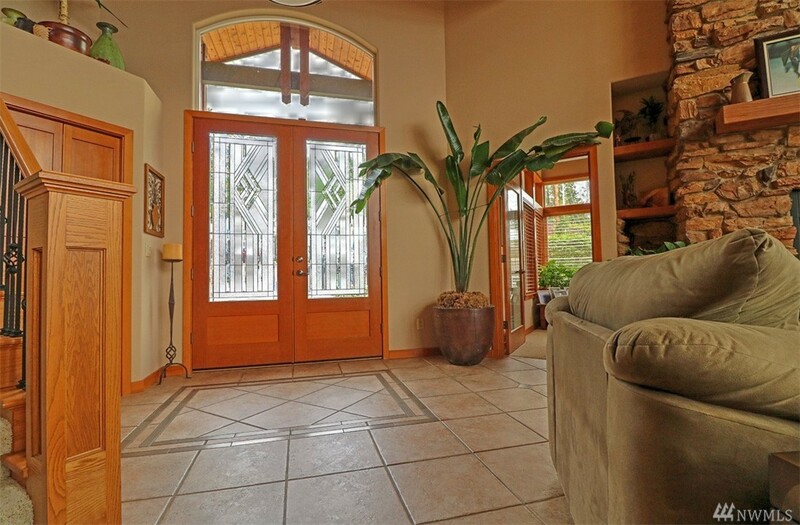 Full length, view deck & outdoor living area with patio, outdoor shower, bath & hot tub. Lakefront living at its best! Premier home on 68'+/- of prime Lk Washington waterfront with its own private beach, large dock & covered boat lift;A dramatic yet elegant light filled open floor plan w/soaring beamed ceilings & walls of windows w/spectacular lake & Mt Rainier views;This contemporary masterpiece is on a private rd next to the Burke Gilman Trail;The southerly exposure offers more sun than other lots on the west side of the LK ;hm currently on double lot to be subdivided (vacant lot not included in list price). Stunning new home on gorgeous lot located at the end of a quiet cul-de-sac. Large, covered front porch & wrap around deck. Beautiful finishes throughout. Gorgeous hardwood floors. Open, sunny & bright 2 story entry. Spacious, custom plan with 4 bedrooms & large bonus room. Spacious, open, custom kitchen with stainless appliances & large, walk-in pantry. Butler�s pantry with wet bar. Spacious master suite featuring walk-in closet, dual vanity, walk-in shower and soaking tub. This spectacular corner lot home with amazing views in the sought-after community of Emerald Forest will capture your Buyer's imagination and appreciation. From the moment you enter the care from the artist/owner is apparent. 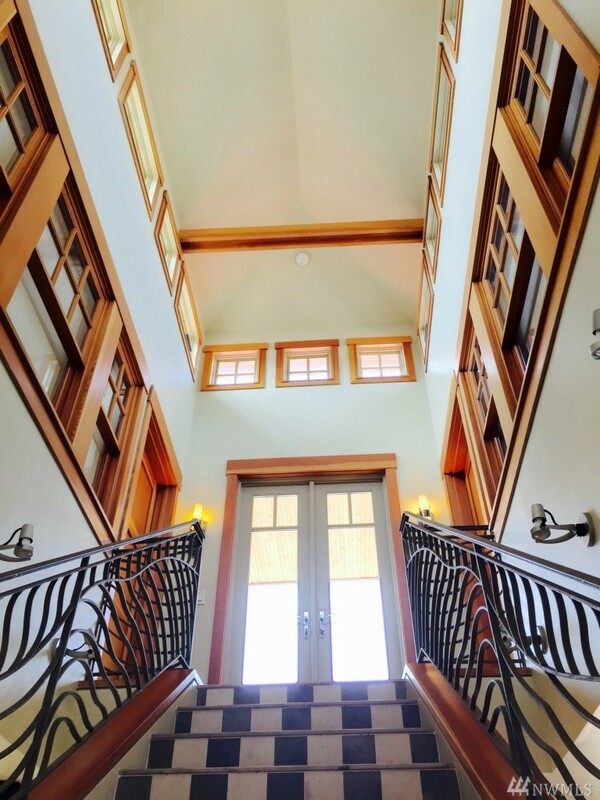 Every detail is a delight, from the refinished hardwoods, coffered ceilings, grand staircase and more. Exceptional light-filled rooms, crown and custom trim are part of this impeccable owner experience. Perfect for entertaining and just minutes to everything. Come enjoy! New carpet throughout! Breathtaking, 180 degree Sound & mountain views from this gorgeous estate w/very rare low tide ownership, 165 ft of waterfront! Beautiful, 3.26 acre lot w/tree lined entry & orchard w/40 fruit trees. Watch whales go by from this uniquely tranquil & private setting. Stunning views from most rooms & from full length deck. Spacious kitchen open to large family room. Wake to the gorgeous view in this lavish master suite. Full mother-in-law downstairs in �like new� condition. 6 New townhomes in the heart of historic Bothell. A boutique community near a hub of shops & dining. Designed w/modern aesthetic & a nod to the Pacific NW. One89dwell mashes technology, sustainability & craftsmanship. Miele Appls, Radiant heat, Steam shower & more. Buy a home from a developer who's invested in your community & promises to donate 1% of the price towards affordable housing here locally. Live in this vibrant community, give back & be surrounded by luxury at every turn. Dwell here! Beautiful single story home with huge great room & well-appointed kitchen - FAB entertaining home! 1500 sq.ft of covered patio with partial views of the Sound. New carpet, hardwood floors, gigantic master suite has a large closet with its own w/d. Within walking distance of GH village. Yard includes gazebo & spa, beautiful estate like grounds w/sprinklers in a private setting. Room for toys! Extra detached garage/shop for 3 more cars + RV parking. Large lot, city said is possibly subdividable. SPECTACULAR & SPACIOUS! 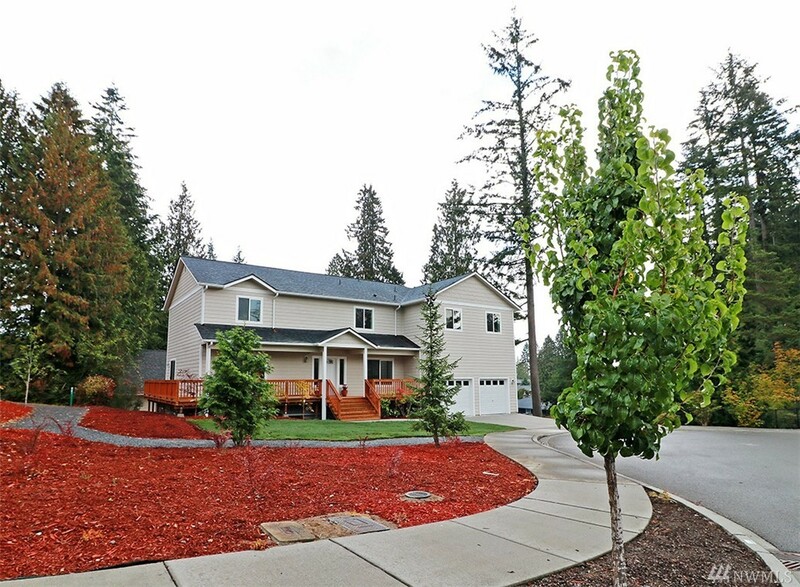 Stunning Lake Washington views with seclusion at streets end. Surrounded by natural park like setting this chic property features state of the art detail.Full of natural sunlight. Art walls galore.4 floors with elevator, 6 baths, 4 bedrooms, exquisite, eclectic. Roof top garden deck brings the outside in with fabulous views of Lake WA & snow capped mountain range. You'll find this home full of custom cabinetry & tons of storage. Low maintenance & incomparable investment!